Good Morning everyone, and HAPPY EARTH DAY! Since my last post was a bit "medical", I thought I would do a review of a wonderful product I highly recommend. I love Nutritional Scales, and have tried quite a few of them. I recently tried the Kitrics Nutritional Scale , and so far am really liking it. I deal with a lot of clients who are constantly wanting to know which products to buy, which are worth the cost, and most importantly, which will help them reach their goals. 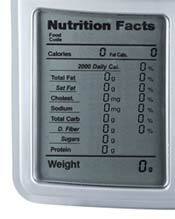 The Kitrics Nutritional Scale is easy to use, sleek, programmable, small and looks nice on the counter. I love that it isn't bulky, and hardly takes up any room at all. Calculate your daily nutritional intake to help you achieve your health goals. Weigh your food in grams or ounces, with a high-precision reading of +/- 1 gram (.05 oz.). The unit features a removable, washable stainless steel platform, and can weigh up to 72 ounces (2000 grams). Calibrate for whatever container you're using and you're all set. I love that you can use it directly out of the box. The programmable mode is easy to use once you get the hang of it. I love that you can customize your favorite foods, or meals, for an easy "one-touch" Nutritional read-out. This would be fantastic for any health-minded person; diabetic (it does exchanges and grams of sugar); athletes (protein, nutrients etc); anyone with Hypertension and Heart concerns (sodium, cholesterol, saturated fat); bakers (you can tare items); cooks (you can tare, program meals); dieters (reads out all macro nutrients, tallys your meal/daily Nutrition totals, and allows you to program meals and foods to track your Calorie needs). You enter your food code for a portion of food and it will compute the following: calories, calories from fat, carbohydrates, protein, fat, saturated fat, fiber, sugars, cholesterol, and sodium. I do wish it had more "raw vegetable" program options. 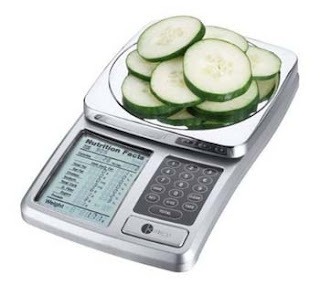 I have used other scales that had a lot more vegetables programmed in (cucumber with skin and without, etc). I also noticed that it only has buttered, microwave popcorn programmed in the miscellaneous section. I would have loved it to have the unpopped kernels programmed, as well as air-popped, non-buttered popcorn. However, with the programmable feature you can program this in quite easily. With foods such as CHIA seeds, Peanut Flour , Greek Yogurt , and protein powders being used regularly, this is great as you can program them right into the scale. Since more us us are moving away from more conventional junk food, towards a more whole-foods, healthier options type lifestyle, I think having a customizable readout is essential. For those of us who regularly use sugar-free products, or products made with Almond/coconut flout etc, this is a great tool to have. I tried programming GG SCANDINAVIAN BRAN CRISPBREAD , and it worked really well. The Scale comes with a Nutritional Code book, which has the codes you enter to obtain the nutritional readout for the foods you weigh. You just enter the code, and it reads out all the information automatically. The book also has additional blank pages where you can write in your programmed custom foods/meals and their corresponding codes so you don't forget! I was impressed with how sleek the KITRICS NUTRITIONAL scale looked on the counter. 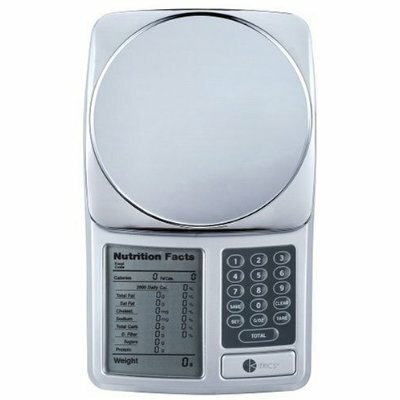 Some of the Nutritional Scales I have used cost $99 or more, and I was really impressed with the price of this product. It is accurate, works well, and has more features than most scales for half the price. This really is a great product to have in the kitchen and would make a fantastic gift as well. Hi, I like your blog :) You are from Canada also! What is your daytime job? I just lost my job and am very very...ugh...long story...what is your job? I'm curious. What a very cool product...it would absolutely help me with volume measurements which I am terrible at! Great review as usual...sorry it took me so long to comment on it! I'm finally catching up on my blogs after being away for so long!